Sheath for Latin Machete 24"
Two Handed 21" Latin Machete Sheath Only. Sheath made for the Cold Steel Two-Handed 21" Latin Machete. Material: Cordura. Our classically styled Latin machetes are available in three blade lengths ranging from 18 to 24 inches. With their non-slip, hard-wearing polypropylene handles, and 1055 carbon steel blades, they are perfect in almost any environment from the Jungle to the farm. All models come complete with a cor-exsheath. 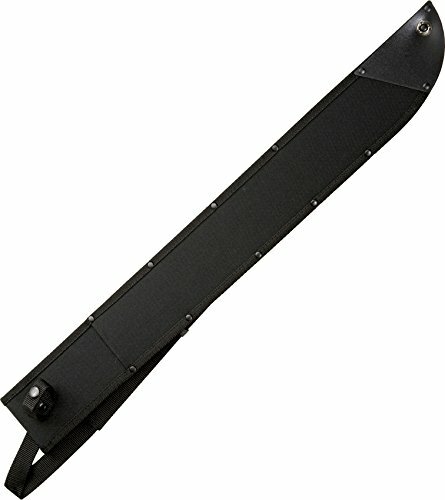 High quality Cold Steel Latin Machete Sheath, Fits 97AM24 - SC97AM24 from Cold Steel. Part number MOTG-SC97AM24. Makes a great gift for friends or family members. 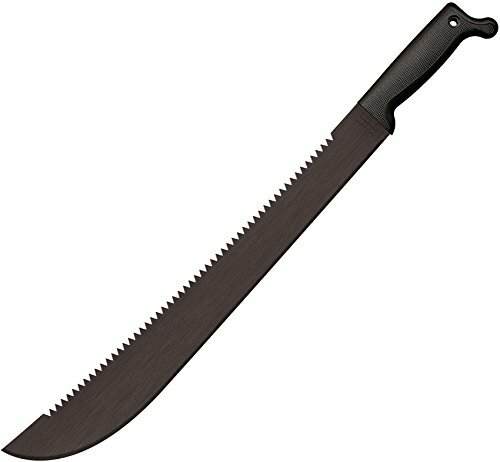 Cold Steel 21" Machete w/sheath Have you been looking for a machete with extra reach and leverage? Perhaps something with a more traditional style blade and handle? Then Cold Steel has the tool for you! Cold Steel's Latin Style Machetes are available in three blade lengths from 18 to 24 Inch. With their non-slip, wear resistant handles, they are perfect in almost any environment from the jungle to the forest or even on the farm. Specifications: - Blade Length: 24" - Overall Length: 29 5/8" - Steel: 1055 Carbon Steel w/Black Baked on Anti Rust Matte Finish - Weight: 18.3 oz. - Blade Thickness: 2 mm - Handle: 5 5/8" Long Polypropylene. 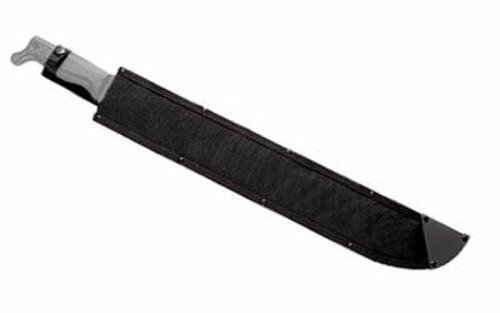 Heavy duty Cor-Ex sheath for the 21" Cold Steel Latin Machete with generous sized belt loop. Machete sold separately. 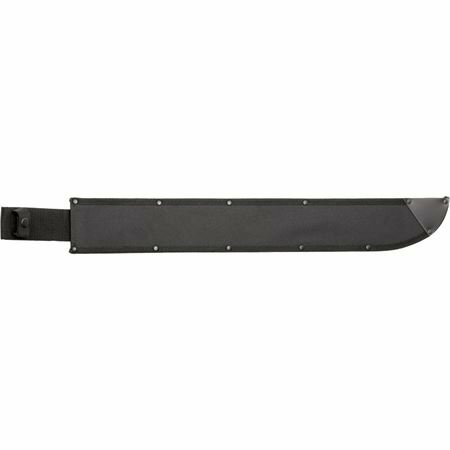 Cold Steel 21" Machete w/sheath Have you been looking for a machete with extra reach and leverage? Perhaps something with a more traditional style blade and handle? Then Cold Steel has the tool for you! Cold Steel's Latin Style Machetes are available in three blade lengths from 18 to 24 Inch. With their non-slip, wear resistant handles, they are perfect in almost any environment from the jungle to the forest or even on the farm. Specifications: - Blade Length: 21" - Overall Length: 26 5/8" - Steel: 1055 Carbon Steel w/Black Baked on Anti Rust Matte Finish - Weight: 17.7 oz. - Blade Thickness: 2 mm - Handle: 5 5/8" Long Polypropylene. 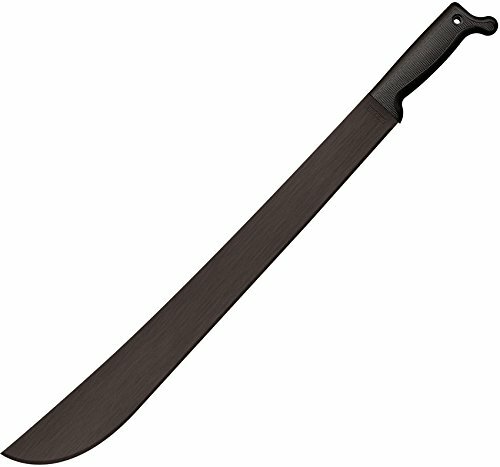 Extensively field tested in both America and Australia, these saw-backed machetes have been intensively used in the toughest conditions and proved themselves time and time again. These real working saw teeth - not aesthetic affectations like many of our competitor's offerings! - are capable of putting in Great work. Try one today, you won't be disappointed! 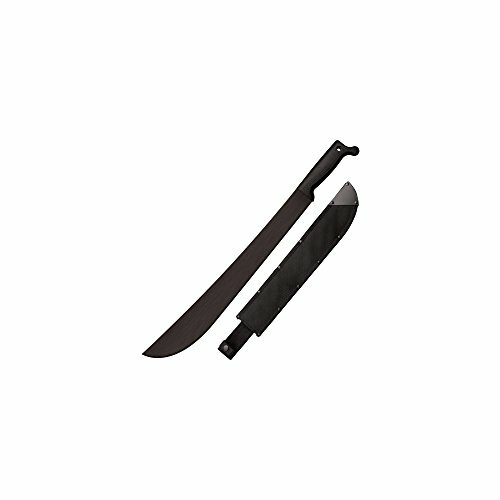 Features:- non-slip, wear resistant handles- perfect in almost any environment from the Jungle to the forest or even on the farm- handle: polypropylene- sheath included specifications:- steel: 1055 carbon steel with black baked-on anti rust matte finish- handle: 5 5/8" long- overall: 23 5/8"- blade length: 18"- weight: 14.9 oz.- thick: 2mm"". 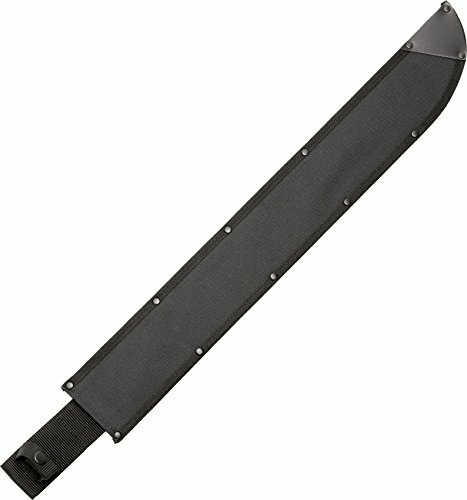 Looking for more Latin Machete Sheath similar ideas? Try to explore these searches: Remington Black Powder, Fantasy Medieval Weapons, and Bakery Cupcake. Look at latest related video about Latin Machete Sheath. Shopwizion.com is the smartest way for online shopping: compare prices of leading online shops for best deals around the web. 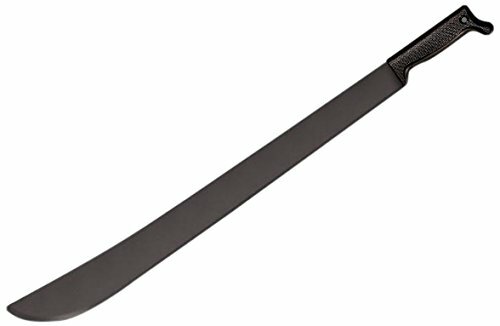 Don't miss TOP Latin Machete Sheath deals, updated daily.